Why Is Errol Morris in Alex Gibney’s ‘The Inventor’? As biographical documentaries creep further into the future, and their subjects spend more and more of their lives in the age of affordable consumer recording devices, documentarians have been finding themselves with exponentially more raw material to use. Asif Kapadia’s Amy Winehouse documentary Amy (2015) was the first time it occurred to me what a blessing and curse thousands of hours of intimate footage would be for documentaries going forward — and Kapadia’s subject’s life only intersected with the age of smartphones by a couple of years. 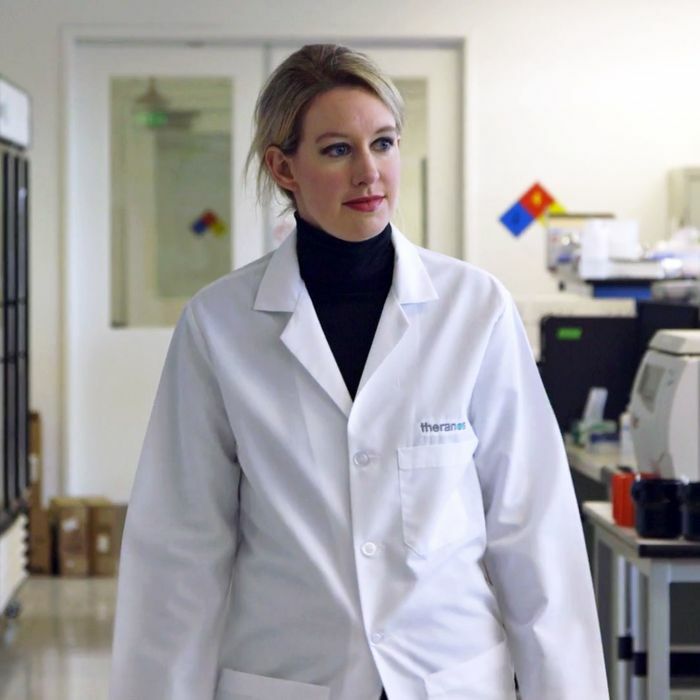 What’s striking about Alex Gibney’s The Inventor: Out for Blood in Silicon Valley is the comparative scarcity of footage of its millennial (old millennial, but still) subject, disgraced Theranos founder Elizabeth Holmes. Part of this can be explained by the fact that Gibney made the documentary without the cooperation of its subject; we don’t have access to her treasure trove of precocious home videos. But the lack of third-party footage — recordings by former friends or colleagues or anyone not being specifically commissioned by Theranos — is also significant. And thus, the biggest visual contributor to The Inventor becomes … Errol Morris. Gibney draws liberally from footage Morris shot for Theranos ads and promotional clips, which date to around the time when Walgreens was in business with the Silicon Valley blood-testing start-up. In the ads, Holmes stares directly into Morris’s camera, exalting a company that would later face charges from both the SEC and DOJ. Gibney also includes behind-the-scenes footage from the shoot, featuring a credulous, chuckling Morris fawning over Holmes in between takes. At first, the inclusion of this moment seems like just an errant bit of shade, an opportunity for one documentarian to dunk on a prestigious peer who got suckered by a supposed unicorn CEO. But Gibney does more than just question Morris’s involvement with the Theranos campaign. Throughout the film, Gibney returns to footage of Holmes shot using Morris’s signature Interrotron camera setup. The Interrotron, used to great effect in Fast, Cheap & Out of Control and The Fog of War, utilizes teleprompter-style two-way mirrors to allow the subject to deliver their side of the interview directly to camera, while maintaining eye contact with the interviewer via a video feed. It’s a brilliant innovation that allows a greater degree of intimacy and honesty than merely instructing a subject to deliver answers to a lens — Morris has even said that subjects often open up more with the layer of remove offered by the video feed than they would face-to-face. Gibney’s liberal use of this footage might seem like a cheat; Morris did the work, and actually got a sit-down with the elusive Holmes, and Gibney is opportunistically picking those bones for his far more critical work. But the continued use of the footage slowly dismantles Morris’s — and any other would-be truth-seeking documentarian’s — supposed objectivity. Morris’s whole deal is that he gets deep, probing insights out of his subjects; that he can draw stuff out of authority figures that other reporters cannot. 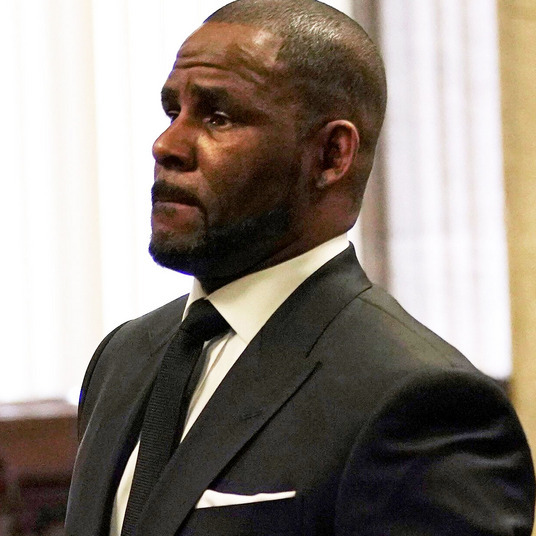 But he has also used this reputation for commercial gain; he’s directed hundreds of high-profile spots for companies like Nike, Toyota, and Miller High Life. Holmes brought him on to do work for Theranos partly because of his famous 2002 “Switch” ads for Apple, in which notable creatives and celebrities look deep into the Interrotron and bare their souls about making the switch from PCs to Macs. When Holmes stares into Morris’s camera, illuminated from all angles by white LED light that makes her perpetually bloodshot eyes gleam, it’s easy to think that we are getting the Fog of War treatment; a rare, intimate look into the mind of an incredibly influential person. But as Holmes smiles widely and unblinkingly into the camera, her alarming baritone — a subtle metric throughout Gibney’s film for how much she’s putting on her “CEO costume” — is lower than ever. We have the hindsight now, watching Morris’s footage in Gibney’s frame, to know that she is spewing utterly empty, baseless drivel into his camera; that the medical advances she claims to be at the forefront of are nonexistent. The shooting tactic that drew out unforgettable confessional material from no less than Robert McNamara is powerless when it is being used to sell something, and when the person in front of the camera has no interest in confessing. The Inventor chronicles the countless high-profile people captivated and drawn under the spell of Holmes, but its handling of Errol Morris’s duping is among the most brutal to watch. Not only because he’s a famous filmmaker, but because Gibney’s decision to include frame after frame from Morris’s footage so mercilessly implicates the very idea of seeking truth. Interviewing subjects about explosive subject matter and searching for some moment of honesty are endeavors familiar to Gibney. Maybe that’s why Morris’s inability to see through the veneer of Theranos stings that much more.